As you no doubt know, Venom‘s intended to be the first installment of Sony’s Universe of Marvel Characters, and in this ambitious franchise, Eddie Brock’s standalone debut appears to be taking some inspiration from its forebears. Namely, just as the MCU and Warner’s MonsterVerse have done in the past, the new Ruben Fleischer-helmed flick will be teasing what’s to come via a couple of post-credits sequences. The first and more interesting of these will see Eddie pay Cletus Kasady (Woody Harrelson) a visit at San Quentin prison. Apparently, Cletus asks Eddie if he wants to hear about him being a serial killer, and specifically, if he “wants to hear the carnage.” Obviously, this is setting up Carnage as a future villain in the series and now, we have our first look at him. Or rather, our first look at Kasady. 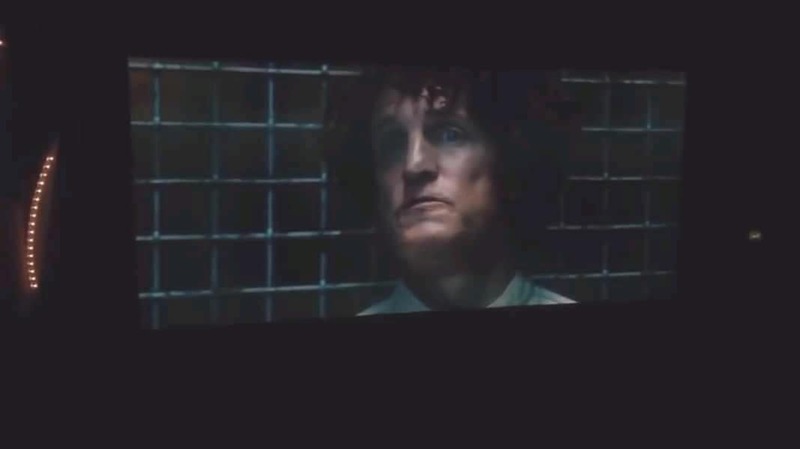 Seen in the gallery down below is a low-res screenshot pulled from the post-credits scene, which sees Harrelson in character as the man who’ll become Carnage. Of course, whether he ever actually gets the chance to transform into the supervillain remains to be seen, but for now, you can at least get an idea of how he looks in his human form. We know, it’s not much, but with any luck, Sony will move forward with a Venom sequel and we’ll get to see Carnage in all his glory. Sure, the reviews may be rough and reactions to the pic online aren’t exactly positive, but it’s important to remember that the Tom Hardy-led film is still expected to do quite well at the box office. And at the end of the day, that’s really all that matters. Besides, with firm plans already in place for Morbius, Kraven, Silk and a number of other Marvel characters to get their own movies, we can’t imagine Sony folding their plans just because of a rough start. If anything, Venom will serve as a learning experience for the studio and hopefully, the following films will only improve in quality.